Malfunctioning blood vessels under the skin can give the face a red or ruddy appearance called rosacea. Thankfully, rosacea can be effectively treated with laser. Sudden migration from a warm environment to cold environment and vice versa. Sometimes, alcohol and beverages that contain caffeine can also negatively affect the skin causing flushing and blushing. The Rosacea treatment in Dubai are highly dependent on the nature of the disease and the current situation of the skin of an individual. It is up to a dermatologist to recommend a best suitable treatment for your condition. Severe conditions that might not be treated are covered up with an optimal cosmetic procedure. Medications for the treatment of Rosacea depends on the nature of the disease and its symptoms. It is always recommended to consult a Dermatologist for a better advice about the treatment options. Some medications that a dermatologist may prescribe include. Laser treatment for Rosacea in Dubai has been proven as the most effective one. A large number of people who are suffering from Rosacea are now moving toward laser therapy because it is considered as a safe and effective alternative. The Euromed Clinic Center Dubai uses Quanta Duetto Laser to treat this skin condition successfully with 100% customer’s satisfaction. The laser emits specific wavelengths of light that target the tiny visible blood vessels just under the skin to seal them, eradicating the redness. Following are the conditions that make an individual an ideal candidate for the treatment. To know more about the candidacy for the Rosacea treatment in Dubai, consult out Dermatologist for free by just filling an online form. The Quanta laser which is used in this treatment is entirely pain-free. Multiple numbers of laser treatments are required to see the final results. 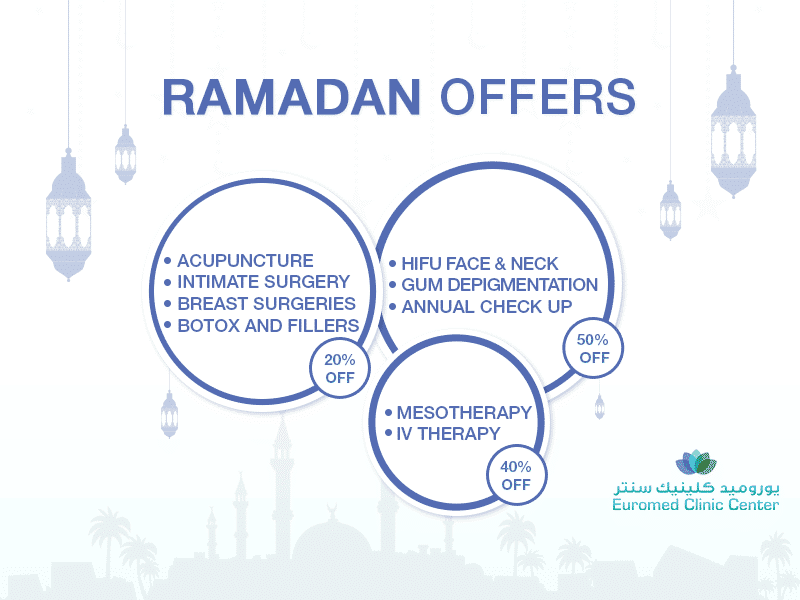 The Euromed clinic recommends undergoing at least 6-8 procedures with each therapy six weeks apart. The number of required treatments may vary from a patient to patient. Some patients require more treatments depending on the seriousness of the symptoms while others might need fewer procedures. The required number of sessions will depend on how severe the rosacea is and so will vary between patients. Do not use sun tanning products for 15 days before the treatment. An expert Dermatologist will adequately guide you about the treatment process and the possible outcomes at the pre-op meeting. The Laser treatment for rosacea is entirely pain-free and has a short recovery period. Whereas, the swelling and redness usually disappear within 3-4 days. All you need to do is to follow the post care instructions given by your dermatologist correctly. Following are some of the guidelines that your doctor may prescribe. It is suggested to apply makeup right after the procedure to hide any redness and discoloration. Rub your skin with an ice pack immediately after the treatment to avoid any discomfort. After the treatment, do not use irritants for few days. It is the primary protected, quick, robust and straightforward treatment for rosacea. It is a non-intrusive system. No confusions and dangers are related to it and reactions are likewise low. Quanta Duetto Laser for Rosacea is a simple and straightforward procedure and can be done at the office of the doctor. Here at the Euromed clinic, we use Quanta Duetto Laser for Rosacea which enhances the results and improves your skin condition to a great extent. 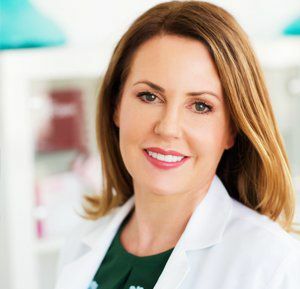 Our Treatment is appropriate for a great many people who experience the ill effects of humiliating red facial flush, be that as it may, best outcomes are gotten for those with reasonable skin, and there is less shot of reactions. Following conditions make you unsuitable for the treatment. If you are on any medication, you are not suitable for the procedure.It is better to consult an expert dermatologist to figure out whether you are suitable or unsuitable for the procedure. The skin will be recuperated inside 10-14 days. You will be given aftercare exhortation sheet which you should take after. We wanted to provide the complete information about Quanta Duetto Laser treatment For Rosacea in Dubai. If you are willing to ask any more questions, please feel free to book an online consultation by calling us or just filling the short online form.